Selling to K-12 school districts, administrators and teachers demands more than just showing up at the school’s front office with a new product and making a presentation. It requires a specific methodology that properly leverages your sales and marketing teams to meet your sales goals. It’s a process combining strategic planning, effective execution and detailed measuring. However, too few edtech companies do it well, resulting in lost opportunity, reduced return on investment (ROI) and disappointing sales results. The K-12 buying cycle requires high-level consultative selling and carefully orchestrated integrated marketing, but many edtech companies isolate their sales and marketing teams in silos with minimal interaction when building and executing strategy. The basics are more essential than ever but many companies continue to fall short, with flawed sales and marketing strategy, limited infrastructure, inadequate training and disjointed execution. An integrated sales and marketing strategy requires a holistic approach focused on creating a unified, seamless and effective customer-company interaction. You must be consistent in your sales and marketing messaging both online and offline, which leads to greater results and robust ROI. 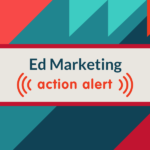 A well-orchestrated K-12 marketing strategy is timed precisely to the school buying cycle, and coordinates all promotional methods and customer interactions to reinforce the brand. The marketing team plants the seeds of credibility to generate awareness and spark interest, setting the stage for the sales team to engage directly with the customer prospect to assess needs, propose a solution and close sales. 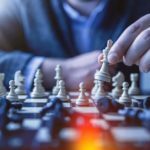 Whether it’s a high-powered field sales team, inside reps, independent reps, or resellers working with chief marketing officers, marketing managers or marketing consultants, the solution is the same – a plan comprising the key integrated processes is essential for achieving success in the education market. 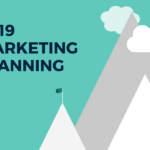 The cornerstone of a successful integrated sales and marketing strategy is a comprehensive plan built on market intelligence, including state and federal rubrics, funding initiatives, competitive intelligence and product differentiators. This knowledge clarifies an important question: what is your company’s key differentiator? Once that is determined, market segmentation begins with prioritizing specific states and districts, and identifying high priority opportunities. Sales coverage needs may be addressed through many options, including a hiring plan for sales professionals. A successful strategic plan is built on the foundation of your product’s relevance to today’s education market, combined with your research and proven results. To establish credibility and strengthen the strategic plan, demonstrate customer success through white papers, case studies, blogs and eBooks, coupled with customer presentations at webinars, conferences, in person and on your website. With your strategic plan in hand, it’s important to establish sales goals. Reaching these goals requires a well-rounded sales team, with the sales rep as go-between to the customer. A successful sales rep gathers customer information and feedback, then takes it back to the company to improve market monitoring, business analysis, product development and overall marketing strategy. Attainable goals must be based on specific metrics, including prior year revenue, new product releases, competitive landscape and geographical considerations. Individual sales goals should be ambitious, but realistic, while team incentives will include achievement of overall company goals, such as preparing customers for new product releases. For start-ups, these may include building name recognition, development of customer reference sites, gathering testimonials, processes for efficacy and documentation of results. Timing is everything when selling products and services to schools. Long sales cycles, a multi-level decision-making process, and short periods of rapid seasonal purchasing define the education market. January through May are the most important months for qualified sales calls, product presentations, and committee meetings because they lead into the most active period of spending and decision making for districts: the start of the school fiscal year. June is a key month for capitalizing on “use or lose” discretionary fund reserves before the next budgetary cycle begins. Come July 1st, a flurry of new spending begins. Successful K-12 sales and marketing leaders will have the right marketing and selling strategy, infrastructure, and team. They know this is key to ensuring that their products and services will be included in critical, seasonal purchase requisitions based on the school fiscal calendar, and state and federal funding cycles. Laying the groundwork with focused, active efforts during peak selling season ensures that your deals close on time, your offering is included in the new fiscal year budgets, and your team is positioned till year’s end to capitalize on low-hanging sales opportunities. A detailed strategic plan is successful only if executed properly. The sales and marketing teams must collaborate to provide their leads with the right content and sales approach at the appropriate time. For example, in January the marketing team may highlight important customer success stories from reference-sites in varying demographics. In February and March, reference-site customer presentations are conducted via webinars, briefings and conferences. Customer attendance is driven by marketing efforts and direct calls from the sales team. Supporting email, content marketing, white papers and social media are timed and executed weekly. Customer leads are then qualified, the pipeline gets prioritized, and the sales team follows up with the discipline of proven sales methodology to close new business. Continual monitoring, feedback and competitive intelligence gathering enable strategy adjustments along the way. Measuring an integrated sales and marketing strategy builds accountability throughout the organization and begins the process of fine-tuning the strategy for next year. Since goals and ROI estimates were set from the start, you will know how to gauge your campaign’s success at the end. The assessment plan should include what you will measure, when you will measure and how you will measure. Establish revenue metrics for aggregate revenue impact, and program performance metrics for the incremental contribution of individual marketing programs. Look at the ROI of each marketing channel individually to ensure you are allocating your marketing budget efficiently. After the metrics are compiled, address shortfalls with a robust training program to continue to build expertise in product knowledge, competition, funding and customer pain points. 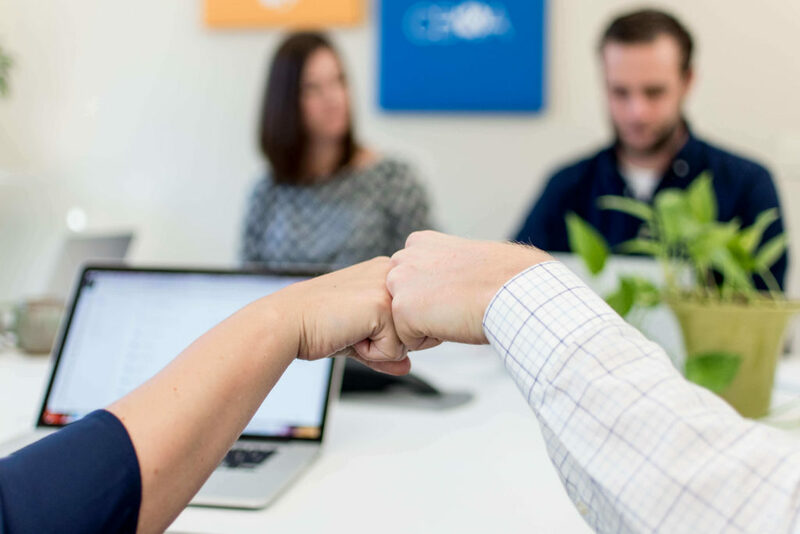 A sales-driven company culture is created by prioritizing collaboration, teamwork and results through a shared mission and focus from the sales and marketing teams. In a sales-driven organization, everyone is a stakeholder, sharing in the challenges and celebrating the successes. When your products and services are ready, nothing is more important than sales results. Building a premier sales and marketing team that is ready for selling season is essential to achieving sales goals. Building a culture of collaboration, and executing a focused integrated sales and marketing strategy with precision, will set the stage for impressive results.